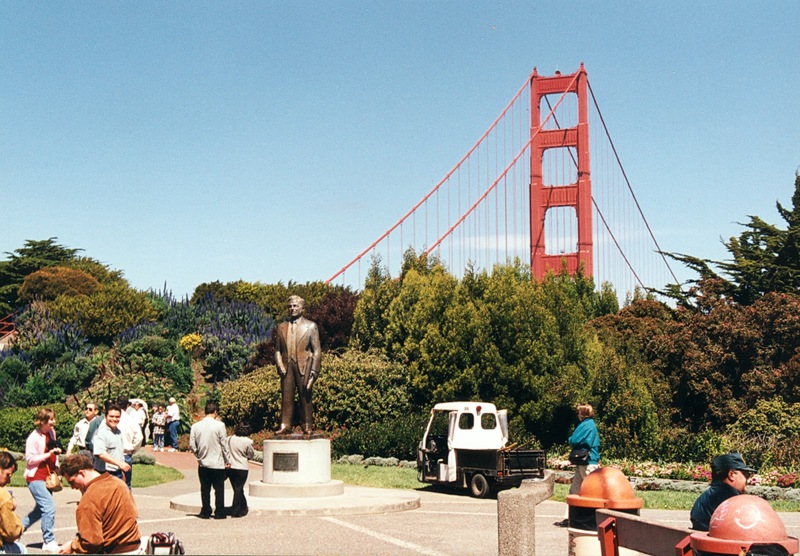 A statue of Joseph Strauss, who is credited with getting a bridge built across the Golden Gate. The design of the bridge is now credited to Charles Ellis. Construction was done by McClintic and Marshall. However, Strauss was the driving force that got the project approved and built. California's Bridges: Golden Gate Bridge in San Francisco Bay (6) by Mark Yashinsky is licensed under a Creative Commons Attribution-NonCommercial-NoDerivs 3.0 Unported License.